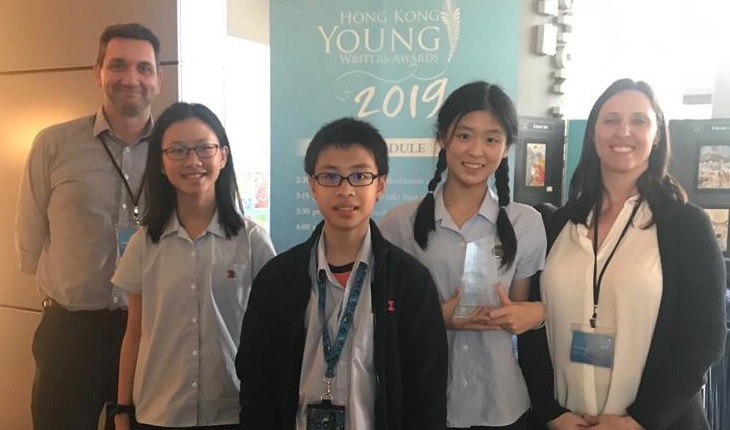 At the prestigious Hong Kong Young Writers Award* ceremony three students’ stories were chosen for inclusion in the Anthology, “New Tales of the Ming Treasure Voyages”. 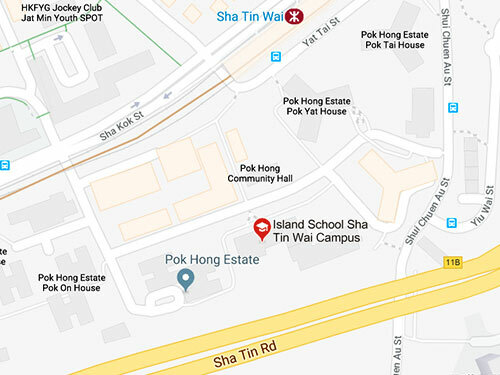 Ady Lam (9E), Joseph Lau (9D) and Abigail Ho (9R) had their stories selected at an awards ceremony in Cyberport on the 27 March. 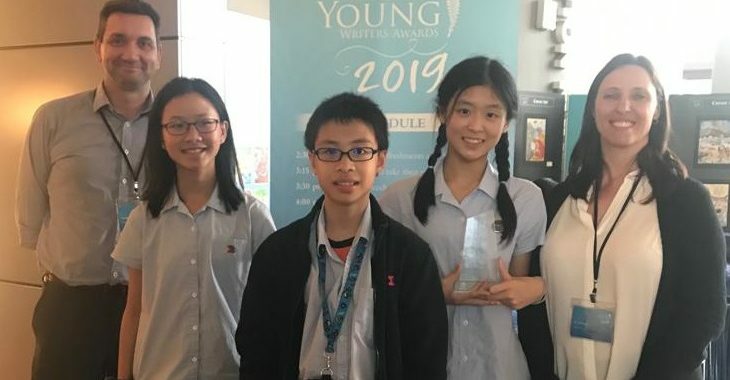 Ady Lam also won the best writer in her category and group. The students wrote stories based around the tale of pirates from the 1400’s that carried cargoes of gold and silk and other precious items for the captain and the sailors to give away as gifts. There were seven voyages by the Ming Treasure Fleet—and the people on board had many adventures. *Hong Kong Young Writer Award is organised by Playtimes magazine. 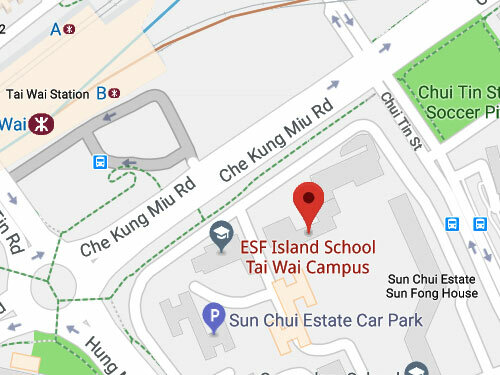 It is an annual competition for aspiring writers to showcase their talents and creativity in English writing. Entry categories ranging from fiction, non-fiction, poetry to cover art.